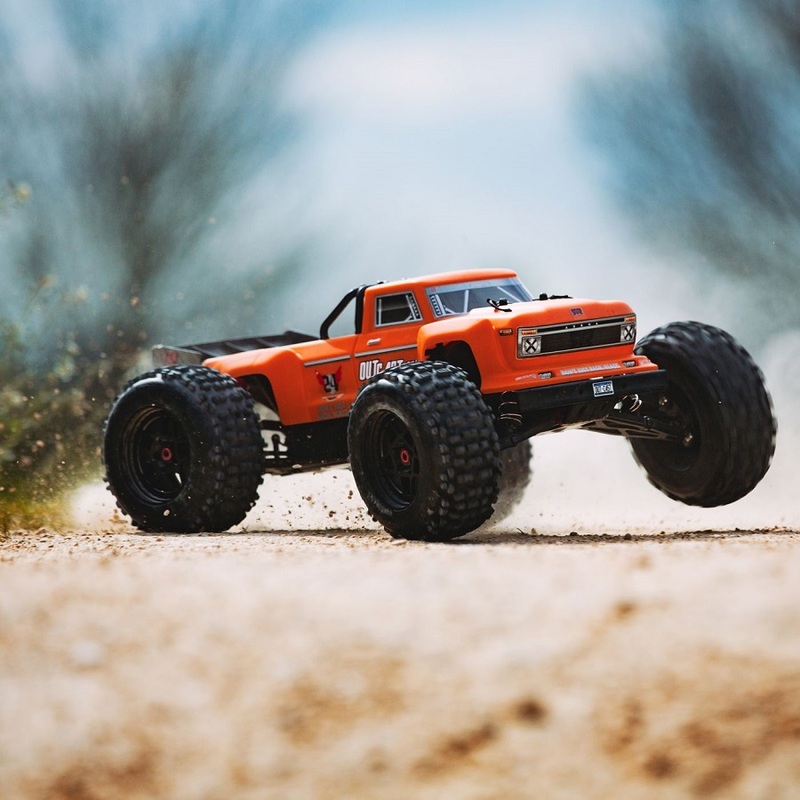 The OUTCAST™ 6S BLX 4WD Stunt Truck goes anywhere – over all terrain, in all conditions. 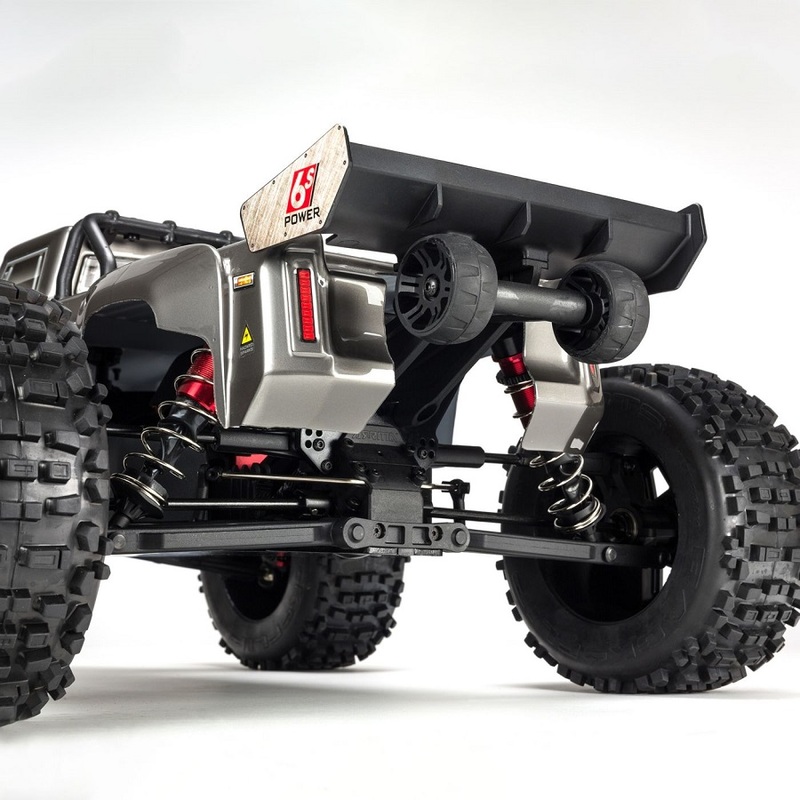 From its heavy-duty front bumper to the wheelie bar in back, it’s engineered to make you an RC stunt action hero. The OUTCAST™ can do it all: long, tall wheelies…tight, fast donuts…standing and aerial backflips…high leaps into the air…and more. You need plenty of power for that level of stunt action. 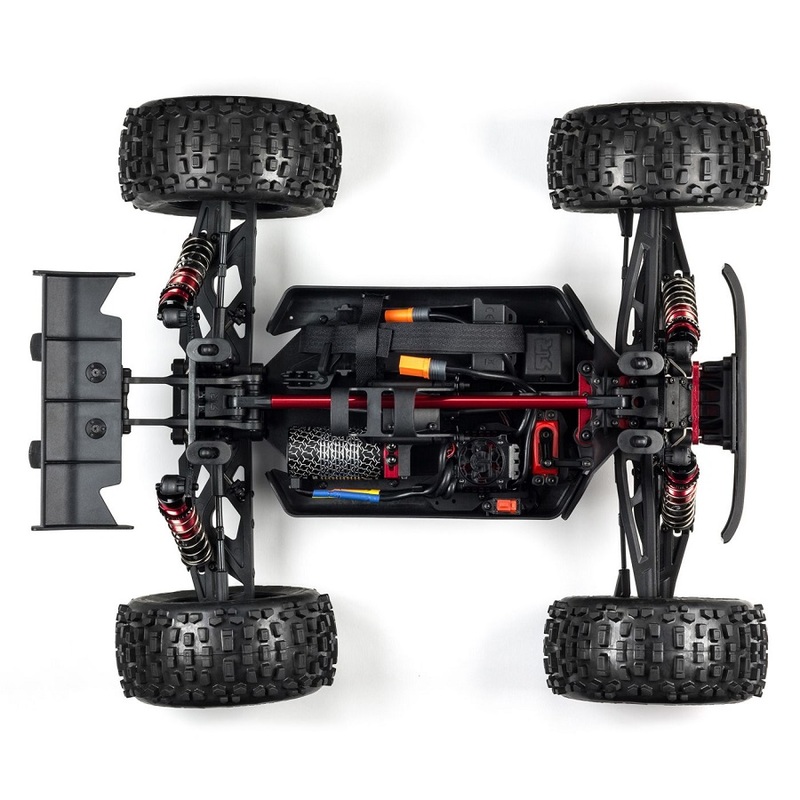 That’s why ARRMA® has outfitted the new OUTCAST™ Stunt Truck with a potent, 6S-capable brushless system including a 2050Kv motor paired with the BLX185 ESC (featuring IC5™ connectors compatible with standard EC5™ connectors). Bashing is a “go” even through mud and snow, thanks to waterproof electronics. 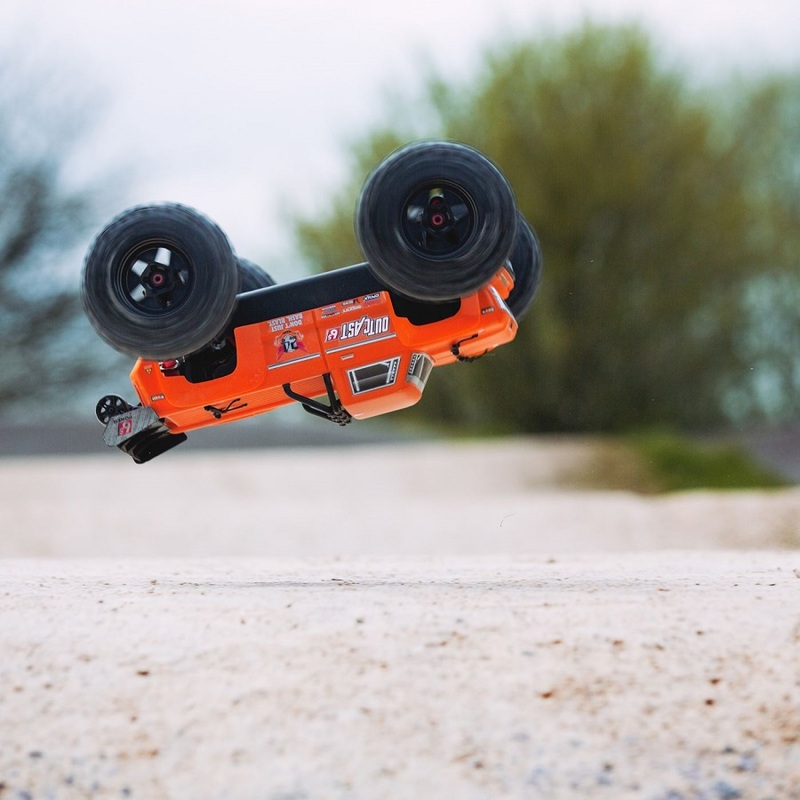 Add your favorite 4S or 6S LiPo battery and watch the OUTCAST™ execute radical stunts! 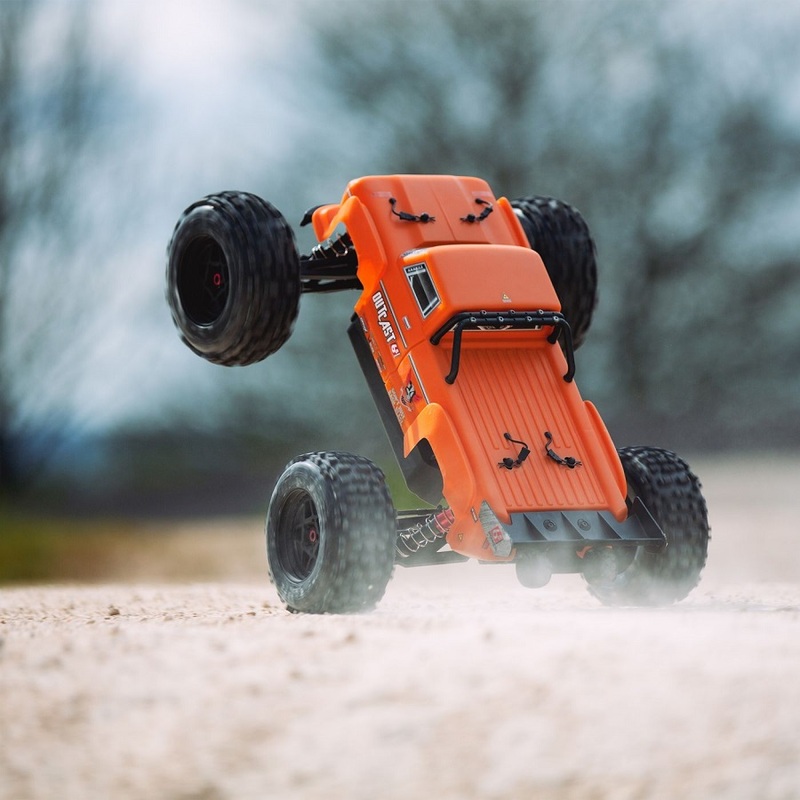 With adjustable 4mm oil-filled shocks on aluminum towers soaking up bumps, the OUTCAST™ 6S BLX 4WD Stunt Truck blasts over dirt, asphalt, and grass. Its tough stunt truck wheels come outfitted with multi-terrain dBoots® BACK-FLIP tires that provide all the traction you’ll need to flip, grip, wheelie, and spin. A high downforce wing helps keep the vehicle grounded – and a wheelie bar is there for when only 90 degree wheelies will do! Everything about the OUTCAST™ contributes to confident control and responsive handling at thrilling high speeds. 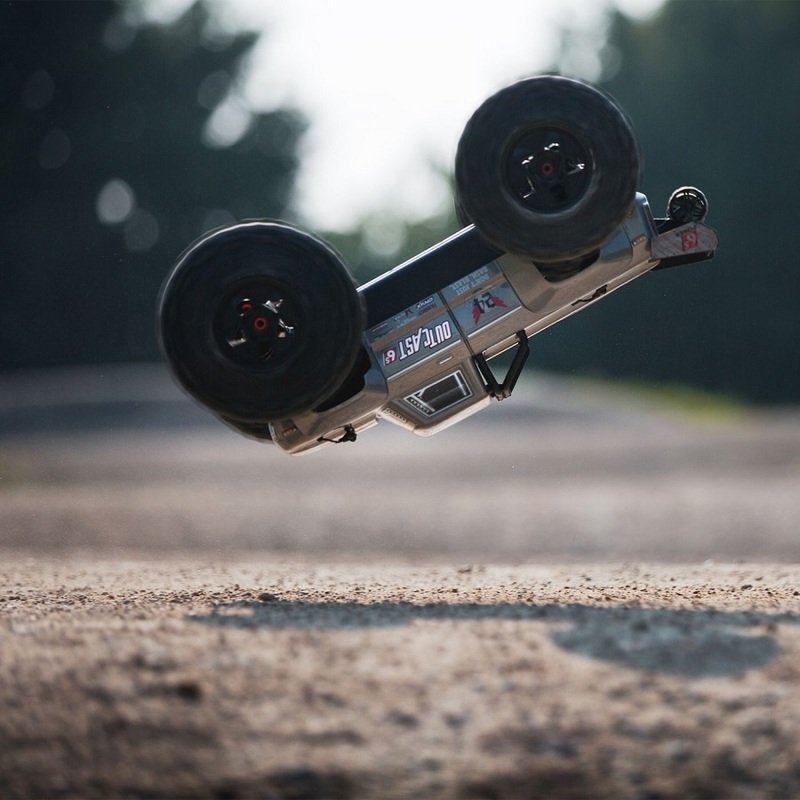 For the durability needed to support extreme stunts, ARRMA® uses a strong anodized aluminum chassis as the foundation. A center body support and aluminum center brace plus composite chassis side pods add more strength. All-metal diff outdrives and gearbox internals plus durable steel driveshafts provide a reliable, heavy-duty drivetrain that holds up to extreme stunts and high-speed bashing. 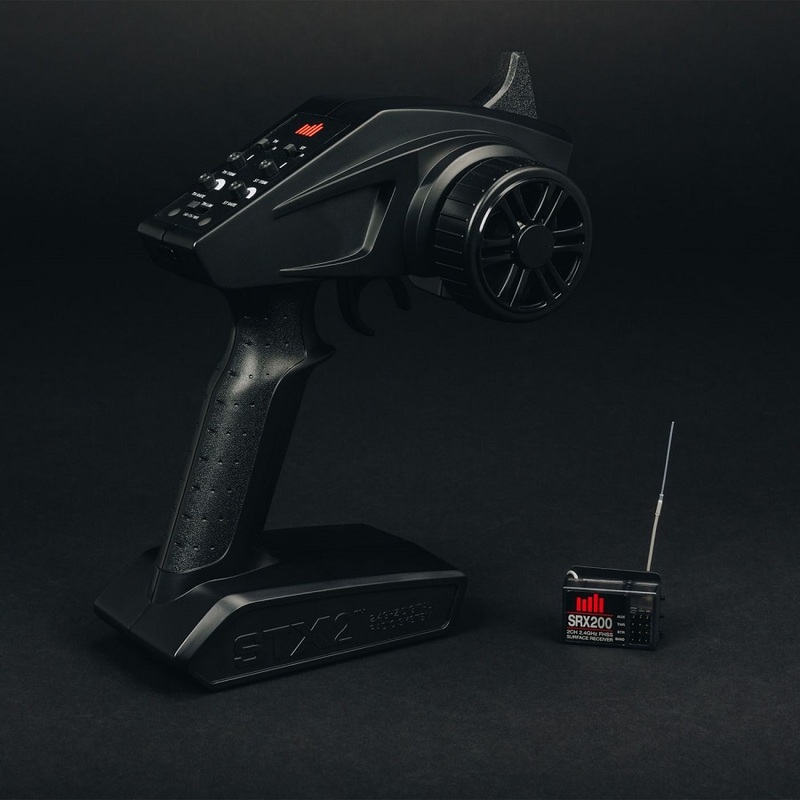 A new “never loose” aluminum steering servo saver and “never pop” ball ends supply more precision, reliability and confidence.